Whether you have a legacy system, are looking to move past an entry-level accounting system, or just need to make a change from whichever solution you currently use, the path to new ERP is a winding road. From the decision on whether to stick with the status quo or not all the way to the process of narrowing down your list, any change is an investment that needs to prove itself. 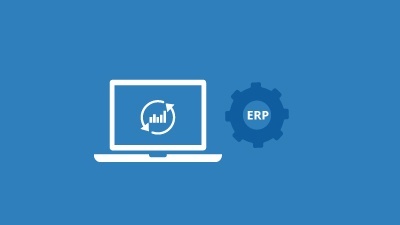 Following our recent blog discussing the resource-based pricing model and why it is a more efficient way of pricing cloud applications, we would today like to turn our attention to another critical factor in the ERP decision making process: ROI, as well as its role in payback, true costs, and total cost of ownership calculations. Often, sticking with the status quo will seem affordable at first, but after a deeper look, you often realize that even if the current licenses are paid for, other costs start to add up. Whether it’s ongoing server maintenance, hardware upgrade costs, or support fees on the liabilities side of the balance sheet, a move to the cloud is often a cost-saving one, but how can you be sure? Naturally, any decision to make a move is going to need to justify itself, and we would like to invite you to learn more about the potential costs of sticking with the status quo using this resource from Acumatica: The Replace-or-Do-Nothing ERP Calculator. This guide will give you an overview of the tangible costs of keeping or replacing your current ERP solution based on the core applications, complexity of implementation, levels of support and support fees, and the cost of running your IT department, offering you an honest comparison. If the direct costs of moving to the cloud are going to cost you more than sticking with the status quo, they will tell you. Direct costs are one thing, but harder-to-calculate costs including lost productivity, employee morale, or other unforeseen ones often factor in the decision to make a move as well. We’re not denying that ERP implementations are costly, but it’s often a small sacrifice for long-term savings. Automating processes can save you labor, moving to the cloud can free up IT staff, and increased visibility can improve decision-making. Knowing this, in order to gain approval for a project on this scale, you still need to prove it will create value. The most common metric for any project—especially a back-office change like an ERP implementation—is its Return on Investment (ROI). Whether you are proving you need to make a move or comparing two similar solutions, ROI is king. ROI analysis is the process of identifying the expected direct and indirect costs of the project compared to the benefits, both over some reasonable lifetime – typically 5 to 10 years for an ERP system. For more information on completing an ROI analysis and its role in justifying an ERP project, we invite you to read our blog on ERP justifications and hidden costs, featuring a cheat sheet for businesses looking to understand ROI even further. How much will it cost to run your software over its life? A necessary calculation, the total cost of ownership features a wide range of smaller costs that add up. Much like buying a car, an ERP is going to have additional costs throughout the useful life of the software. Whether these costs are part of the implementation or are spread out over the life of the product, total cost of ownership is calculated by adding up costs over the expected life of the software—five to ten years. As you look to make a move you will first need to look at the common cost categories that go into a decision: Software Fees, Implementation Costs, Infrastructure, and Ongoing Costs. Learn more about these costs by reading the Acumatica ERP TCO Calculator, a guide to the direct and hidden costs that may go into your ERP decision. Another metric for making a decision is the true cost of your ERP software. What is true cost? Simple. ROI – TCO. Calculating your ROI is one thing, but what day will the switch flip from “cost” to “benefit”? With tangible and intangible costs and benefits calculated by the ROI analysis and project justification, you can often start to look at just how long it will take for the switch to flip—often about three years, according to Panorama Consulting. However, many businesses have found payback periods of less than one year. Payback is calculated by comparing the benefits to the outlays. For example, if a software gives you a net return of $25,000/month and costs $200,000 to implement and $10,000/month in ongoing costs, the payback period would be 13 months. Whether you are just beginning your journey to new ERP or are zeroing in on your final decision, the path to selecting this software is often a challenge. At Cloud 9 ERP Solutions, we understand this and have helped companies just like yours to discover and implement new ERP solutions for nearly a quarter century. We invite you to learn more about the path to selecting ERP by downloading 10 Tips for Smarter ERP System Selection and contacting us for more information.